Lock in a great price for Logis Auberge De L'ombrée – rated 8.6 by recent guests! This former police station, built in the early 20th-century is located 5 minutes from Segré City Center. 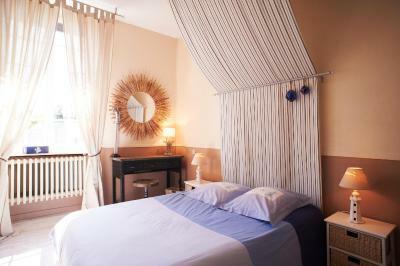 Auberge De L'ombrée has a large floral garden with a furnished terrace. Each room is in a classic but themed décor such as the Sahara, Asiatic or the sea. They are equipped with free Wi-Fi access, a flat-screen TV, private bathroom with a bathrobe and a welcome tray with tea and coffee. 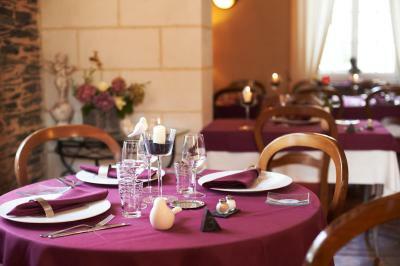 Auberge De L'ombrée’s restaurant has exposed beams and wooden floors, and serves gastronomic cuisine. Enjoy your meal on the terrace during the warmer weather. A buffet breakfast with home-made marmalade, pastries, and stewed fruits is served daily. Bicycle rental is available so guests can explore the surrounding areas. Free private parking is provided. Auberge De L'ombrée is between Angers, Nantes and Rennes. This property also has one of the top-rated locations in Combrée! Guests are happier about it compared to other properties in the area. This property is also rated for the best value in Combrée! Guests are getting more for their money when compared to other properties in this city. When would you like to stay at Logis Auberge De L'ombrée? This single room comes with 1 single bed and 1 sofa bed. This double room offers 1 double bed and 1 sofa bed. This triple room offers 1 double bed and 1 sofa bed. House Rules Logis Auberge De L'ombrée takes special requests – add in the next step! Logis Auberge De L&#39;ombrée accepts these cards and reserves the right to temporarily hold an amount prior to arrival. Logis Auberge De L'ombrée accepts these cards and reserves the right to temporarily hold an amount prior to arrival. Guests checking in on Fridays are required to arrive before 15:00. Guests planning to arrive later are kindly requested to contact the hotel to arrange access codes and room details. Contact details can be found on the booking information. The hotel opens at 18:00 hrs, as specified in the fine prints during the booking process. Nevertheless, it is not comfortable to have to wait for the opening time in case one arrives early, also considering that dinner time is between 19:00 and 20:00. It doesn't give much time for showering and relaxing after a day's journey. 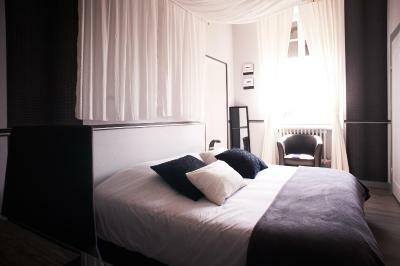 The room was charming and very well cared and furnished. It was very spacious and comfortable. Amenities in the bathroom exceeded expectations. The warm welcome and helpful staff.perfect large bedroom and the evening meal was excellent.